When Charles Darwin wrote his classic Origin of Species in 1859, “humans” were mentioned only once, in passing: “light will be thrown on the origin of man and his history”. But the implications of the theory of evolution for the place of humans in nature were earth-shattering, and nobody missed them. In 1871, Darwin took the step of specifically applying his theory to humans, in his book The Descent of Man, in which he made what was at the time a bold prediction: “In each great region of the world the living mammals are closely related to the extinct species of the same region. 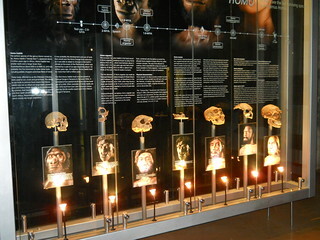 It is therefore probably that Africa was formerly inhabited by extinct apes closely allied to the gorilla and chimpanzee; and as these two species are now man’s nearest allies, it is somewhat more probable that our early progenitors lived on the African continent than elsewhere.” Half a century later, discoveries in South Africa proved Darwin to be correct. The history of the Workers’ Opposition has been largely forgotten, both in the West and in the former Soviet Union. This is unfortunate, since it is the history of a faction within the Russian Communist Party itself which, during the very time that the Russian Revolution was falling into the centralization of political and economic power that would shortly lead to Stalin’s dictatorship, stood up to defend socialism, democracy, workers’ control, the rights of union workers, and economic justice. Sadly, their struggle was in vain—the bureaucratic Party concentrated all power in its hands, and Stalin soon assumed sole power and crushed the people of the Soviet Union under one of the most brutal regimes of the 20th century. Many of the members of the Workers’ Opposition died in Stalin’s jails. 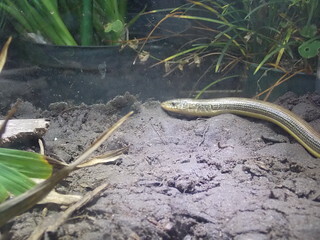 One of the most interesting of Florida’s reptiles are the Glass Lizards of the genus Ophisaurus. These long, legless reptiles are frequently mistaken for snakes, and even the scientific name of the genus is translated as “snake lizards”. The Ophisaurs, however, are actually lizards. It was a nightmare scenario for NASA’s moon mission planners–a human triumph turning into tragedy as space-borne moon germs, brought back by astronauts, swept the Earth and killed all terrestrial life with a lethal unstoppable disease. 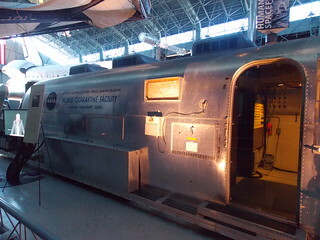 To prevent it, NASA developed a Space Age motor home trailer for astronauts called the Mobile Quarantine Facility. Florida is the land of invasive species. Because of our status as a center for the importing of exotic pets and houseplants from overseas, and our neo-tropical climate, we have been invaded by everything from kudzu plants to Burmese pythons. 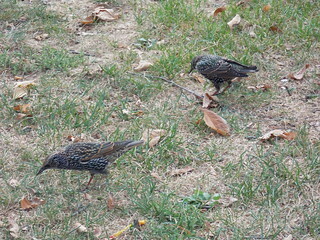 And one of our invaders–the European Starling–is all William Shakespeare’s fault. 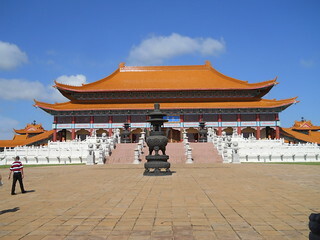 The Nan Wua Temple, located near the little village of Bronkhorstspruit in the Gauteng Province of South Africa, is the largest Buddhist temple anywhere in the Southern Hemisphere. If you could have wandered across the United States in the area that is now the Great Plains 15,000 years ago, you may have mistaken it for the African Serengeti. Elephants, camels, horses, cheetahs . . . all would be roaming across the vast savannahs of North America. And the most impressive of all would have been the North American Lion. 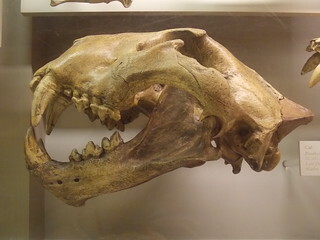 Fossilized skull of Panthera atrox, the North American Lion, on display at the Smithsonian Museum of Natural History.